Ever so often a book comes along that I feel should have been written years ago, and this book is one of them. As a Christian who found faith in Nigeria in the 80s, I was intrigued by stories about 'God Generals"e;, those men and women that led 20th century revivals across the world (most of them in the West). Now I have in my hands, a book that shares some of the stories of some of my fellow … countrymen who shaped the faith landscape in Nigeria. I am really impressed with the diversity of the leaders identified and the depth of the research undertaken. This book, in my view, should be a must read for anyone interested in origins of Pentecostalism in Nigeria. Keno Ogbo, Co-editor, The Black Church in the 21st Century"e;The Lord joined us to the ministry of Benson Idahosa for 20 years and we saw firsthand the reality and power of the gospel in Africa that has touched the world. The Lord's sovereign work in the continent is going to impact the globe for generations to come. Thank God for the African church of Jesus Christ. Millions of strong and faithful believers are coming forth at this critical time as God builds His church. "e; Dr Kent & Ruth Hodge, President of Christian Faith Institute, Jos, Nigeria. Christianity has been recognised to be a growing religion in Sub Sahara Africa. The expression of Christianity that is expanding in Africa is Pentecostalism. One reason for this growth is the renewal factor which has engulfed the whole continent. Nigeria is one of the countries that has and is still experiencing revival that is contributing to local and global Christianity. What is the origin of Pentecostalism in Nigeria? What contributions did the late Archbishop Benson Idahosa make to the Pentecostal scene in Africa? Why is RCCG one of the fastest growing Churches in the World? 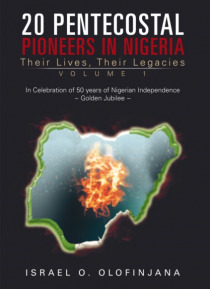 This book considers the history of Pentecostalism in Nigeria by looking at the pioneering efforts of men and women who laid the foundation of the Movement.